FIWARE seeks to provide a truly open, public and royalty-free architecture and a set of open specifications that will allow developers, service providers, enterprises and other organizations to develop products that satisfy their needs while still being open and innovative. FIWARE will dramatically increase Europe’s Information and Communications Technology competitiveness by introducing an innovative infrastructure that enables cost-effective creation and delivery of versatile digital services, high quality of service and security guarantees. · Offering a set of open APIs that allow developers to avoid getting tied to any specific vendor, therefore protecting application developer’s investment. o Service providers: delivering new applications and solutions meeting the requirements of established and emerging areas of use. o End users and consumers actively participating in content and service consumption and creation. a) End customers want to gain access and easily consume applications that can effectively assist them in daily life situations. Some of the underlying problems involved in satisfying this are the management of ever-growing data and information (e.g. from sensor-enabled environments) and the seamless access anywhere, anytime and from any device. They also require improved means for real-time communication and collaboration within their social networks, families and neighborhoods while being mobile, without risking any security or privacy requirements. Overall, these capabilities could transform communities, homes and cities into safer and better places to live and leverage the Internet as an additional utility for Society. b) Enterprises and organizations on the other hand, wish to get closer to their customers in order to deliver an even more compelling user experience and better service. For this reason, they would like to exploit contextual user data which may lead to a more personalized interaction experience and service offering, creating stronger participation of users in all phases of product and service lifecycles. In order to develop and operate these services, new methods, technologies and tools are needed to speed up the time to market, establish value added services and simplify access to relevant resources and capabilities, e.g., from the Internet of Things. Additional requirements on business services include reduced complexity of ICT provisioning, scaling, global availability and meeting security requirements from customers and legal authorities. An appropriate Future Internet platform would greatly contribute to meeting these demands from business customers. iOrder is a new mobile application that will save you time from ordering Coffee or Snacks. 3.pick it up on your way to work, school etc. iOrder won the First prize and the favotite crowds idea in the second Startup Weekend 2014 in Volos. The main objective of the Innovation and Entrepreneurship Unit (IEU) is to develop the entrepreneurial and innovation skills of the University of Thessaly students and to provide support for them in undertaking entrepreneurial activities. To this end the I.E.U. implements activities such as: teaching entrepreneurship courses related to entrepreneurship and innovation, securing direct contact with the entrepreneurial community with the help of production and business site visits, the use of well-known entrepreneurs in lectures, seminars and mentoring schemes, as well as supporting student entrepreneurial activities through specialized guides and tools and individual counseling. A mixture of different educational tools is used: team working, speeches by invited – mainly young – entrepreneurs and work with experienced mentors, site visits to innovative businesses, support of student teams through specialized guides and tools and team coaching and hosting of events and competitions. During the program students are expected to organize themselves in teams (simulating a real start-up endeavor) and present their ideas and plans in writing as well as to defend them orally. The following courses are offered to 12 departments of the University of Thessaly, including the Polytechnic School, the School of Agricultural Sciences, the School of Humanities and the Department of Biochemistry and Biotechnology, and are part of the Operational Programme for Education and Lifelong Learning in Greece. The objective of this course is for the students to familiarize themselves with the reality of modern enterprises (particularly the Small to medium-sized and Family Enterprises) and the modern tools of management and to acquire basic entrepreneurial knowledge and culture. It is stressed that entrepreneurship does not only concern the private sector, but also the public sector and non-profit organisations (museums, hospitals, sport organizations, local authorities etc). The understanding of enterprising activity contributes also to the improvement of effectiveness of those that later will become policy makers for the economy or will work in institutions that provide infrastructures or services to enterprises. Content: the course, indicatively, will focus on questions that concern: What is an enterprise, foundation and organisation of an enterprise, obligations of the enterprise, financing and economic management, co-operatives and their problems, introduction to marketing, distribution, sales, pricing, product and service development, human resources management (hiring, training, wage). teams of 4-7 students will be formed in order to develop business ideas, with the advisory guidance and support of members of the entrepreneurial community. The objective of this course is to provide the students with basic knowledge on the development of successful and complete business plans. Exploration of business opportunities, definition of the needs of users (market research), development of business plans, investment assessment and planning, financing of start-ups (venture capital, business angels etc), management of brand names and trademarks, development of business collaborations. The Unit also organizes short intensive entrepreneurship schools, participates in the organization of Open Coffee, Startup Weekend and a plethora of similar events. Furthermore, we have managed to built a dynamic network in Greece with the participation of other Innovation and Entrepreneurship Units of Greek Universities, Accelerators (The Cube, Innovation farm, Stage one, IQbility), Co-working spaces (Found.ation), local authorities, and funds (Openfund, PJ Catalyst). At the time we also run one of the two parts of the accelerator program “Mazi stin Ekkinisi (Together at the Start/Launch)” with the Federation of Enterprises and Industries. The accelerator program aims to provide services and transfer knowledge to scientists – aspiring entrepreneurs to turn their business ideas into detailed and actionable business plans. Networking and linking knowledge production to the production of profit and the commercial exploitation of innovation. The Federation of Enterprises and Industries further aims at reviewing the relationship of research and academic institutions doing business in Greece, parameter priority for the development of a dynamic and competitive economy. A Chemical Engineer graduated from Aristotle University of Thessaloniki in 1981 and received his Ph.D. in Management and Administration, in 1988, from the University of Bradford in the UK. He worked as Production Manager, Technical Advisor, Sales Manager in Industrial and Distribution Enterprises and Consultant Companies. He was member of the board of Directors and Technical Advisor of a Textile company. Visitor Associate Professor of the Industrial Management Division at the Engineering School of Aristotle University of Thessaloniki and University of Thessaly in Greece. 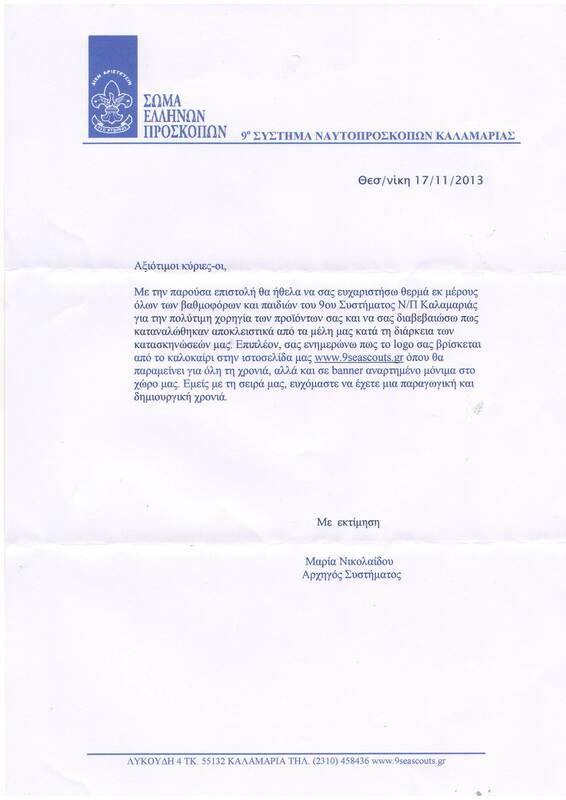 Key member of the development team of Thessaloniki Technology Park and Director of its Vocational Training Center. Founder of Thessaly Technology Park. 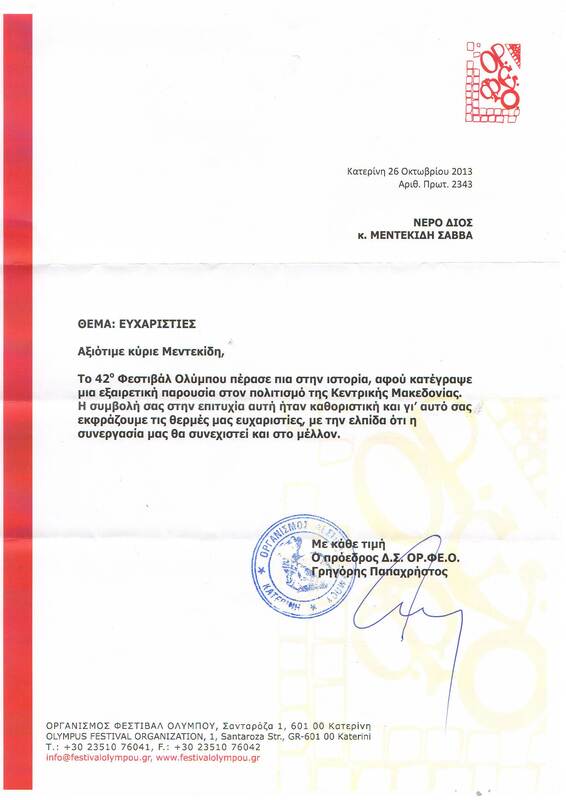 Served as Chairman of Eureka National Project Coordinators during the Greek Eureka Presidency. He has been participating in many EU Capitalization Projects and numerous Research Programmes / Projects and Studies as Scientific Responsible. Those Projects were executed and implemented in Greece, in Europe and elsewhere and were related to his main scientific and research interest such as innovation, technology management, regional development, development strategies, information management networks, reliability, maintenance, industrial health and safety. Currently Assistant Professor at the University of West Macedonia, Head of the development of the Regional Innovation Observatory and the Virtual Technopolis of Western Macedonia. Coordinator of Regional Innovation Pole of Western Macedonia. Former Member of the board of directors of Alexandria Innovation Zone of Thessaloniki. He is the President of the Executive Committee of the Association of Industries in Thessaly and Central Greece since 2005 and General Manager of AEDEP Thessaly and Central Greece since 2003. His professional career started in 1982 as Supervisor of the scientific divisions of the Association of Industries in Thessaly and Central Greece. 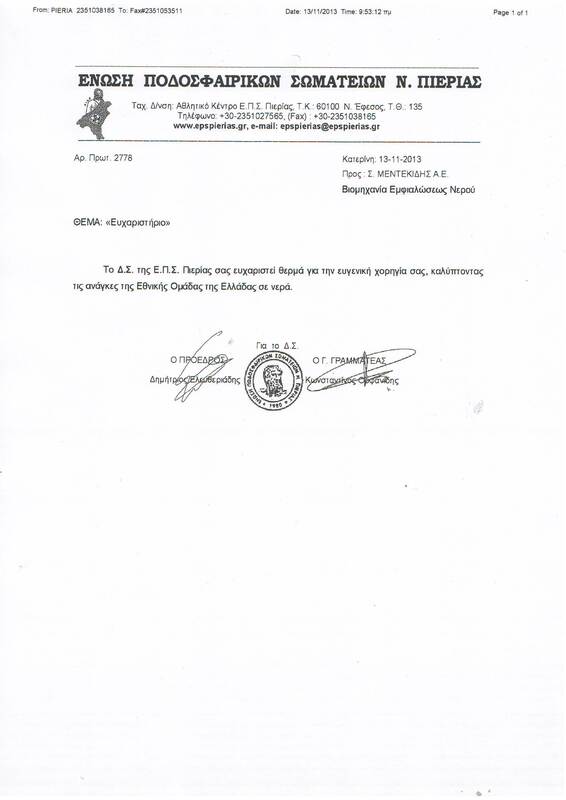 He holds a degree from the Department of Public Administration at Panteion University and in year 2000 was awarded a PhD Title from the Department of Regional Planning and Development at the University of Thessaly. Since 2003 he is an Adjunct Lecturer at the Department of Mechanical and Industrial Engineering at the University of Thessaly, on the subjects of ‘Business Finance’, ‘Business Strategy and Technology’, ‘The Strategy of Administration’, and ‘Policies of Regional Development in Greece’. He has participated in numerous Scientific Programs and Studies and through his incumbency in the AITCG and the UTH has collaborated with multiple Scientific and Development Authorities. However, despite his diverse activity, he remains committed to the support of the Businesses in the Regions of Thessaly and Sterea Ellada in order to assist their way to development.